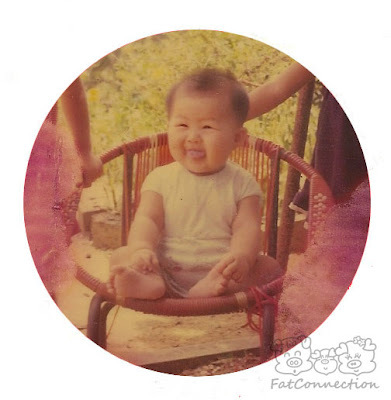 Hi, I'm Pauline, aka Ahfat or Lihong. I have a beautiful little girl and a supportive husband. I love anything to do with art and craft since young, from drawing, painting to sewing, and I like to combine what I know to create things that are pretty, cute and functional. Besides crafting, I also love rich dark chocolate and baking too, so over here you will see that I often use chocolate as an ingredient for baking. This blog is here to record the growth of my girl, my passion for crafting and baking, and sometimes there's also a bit of this and that on my life. My first lino craving, can't find the print out. 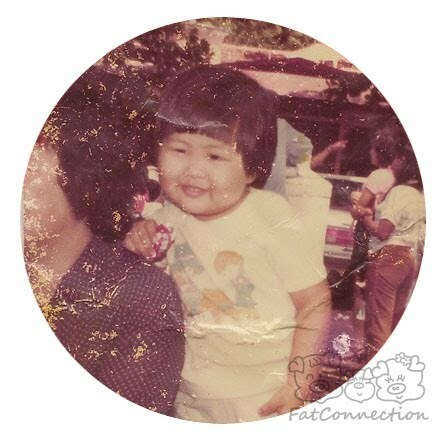 It all started out when the creator of Fat Connection ( incase you don't know, well....that's me ) was just a wee little girl. She had excess fat here and there, and her elder sister nicknamed her Ahfat (basically means fat, so naughty of my sister :P). She grew up in a time when getting into the world wide net was still quite a fresh thing. A time when there's icq, msn and forum, and you are required to have a nickname as your identity. It's also a time when people are still not comfortable about revealing their true identity to the world unseen to them/ to the unknown. Being a girl who's uninnovative and increative with wordings, she started to use the nickname given by her sister, so she is then known as Ahfat in the virtual world. Although Ahfat isn't good with words, she is rather good with her hands. She loves to draw and do all things crafty. After years of doodling, she eventually created her 1st very own piggy characters. Besides drawing, she loves to sew too. Her very 1st sewing project is a cross stitch that she did in Primary 6 (12 years old), since then she is addicted to sewing. 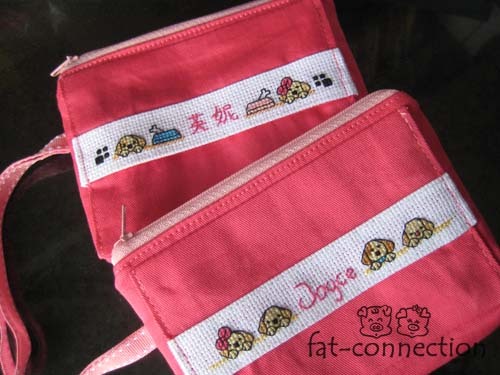 She started with lots of cross stitch projects and later moved on to other sewing project to make further use of the cross stitch projects that she has completed. So Fat Connection first started out in selling only handmade pouches. While venturing in the craft world, Ahfat saw lots of cute craft materials and heard lots of compliments about Japanese fabrics. She longed for some Japanese fabrics, and when she finally got her very first piece, she immediately fell in love with it. It's not just the prints, texture and quality, it's also the feeling of it running so smoothly under the sewing machine. It's simply a pleasure to sew with Japanese fabrics. 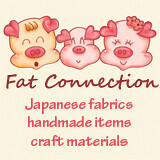 And that's why Fat Connection is now stocked with Japanese Fabrics and many other craft materials.